Neutrogena Acne Stress Control Power-Cream Wash has a powerful micro-clear technology that penetrates deep into the pore to unclog it by washing away oil, dirt and target spots before they have a chance to appear. Texture is gentle enough for everyday use. The creamy lather works fast while green tea and cucumber extracts soothe skin and help reduce irritation. I have used this on and off mostly during summer for a while now. I don't have acne on the face but on my upper back and sometimes chest. This product always works for me to calm down the redness and eliminate the acne and spots in much less time than normal - usually I will just have back and chest acne constantly in summer but this product has saved me many a time. My skin is clearer and softer. It has a nice consistency and feels refreshing on the skin. I do make sure I take the time to apply it on the inflamed areas and allow the product to sink in a little before rinsing off. I can't say what it is like for facial acne but it works a charm for bacne! Signed up just so I can review this product. I have been using it for about half a year and my skin has cleared up significantly. It has turned from new pimples every day to occasional pimples. I did take contraceptive pills for about 5 months, towards the end of which I started using this face wash. Although the pills might have contributed to the reduction of my acne, I'm certain it's the face wash that has worked wonders at maintaining the results so far. I put a thick layer on the most unstable areas like the chin, around the nose, and forehead, and a thin layer on other areas, and leave it on for 10-15 minutes before washing it off. When I feel there's a pimple forming, I put a thick layer on the spot too and leave it there for a while. In most cases I can feel the bump reducing the next day. Oftentimes the bump would completely become flat in a few days. Reasonably healthy skin (despite acne)/ not overly sensitive skin. I did try this product many years ago when I had severe acne on my whole face. It stung and I stopped using it soon afterwards. This product might be too strong for particularly vulnerable and sensitive skin. My skin condition before using it again was much healthier compared to years ago. I don't feel the slightest sting now. I seriously love this face wash! I have been looking for ages for a facial wash that treats my acne, does not dry out my skin too much, is within a good price range and doesn't smell god awful. This ticks every single box.  After just one use I noticed a difference and my skin was noticeably softer. The next day I noticed that my skin seemed slightly clearer and over the next month of regular usage I noticed serious change. Love this cleanser! It is perfect for my pimples and breakouts that I have been getting. I've been using this cleanser for the last 2 weeks and nothing bad to say about it other than it hasn't gotten rid of all pimples. But mostly it has helped my skin from breaking out and gotten rid of some small pimples and it is very very calming. Has a beautiful soothing smell to it and chilling on the skin. I've only gotten two pimples after using this product, which is so much better than having huge breakouts all the time. 2. Avoid getting this anywhere near the eyes as it slightly burns but not for too long. I bought this to use because of the good reviews and I wanted to get rid of a few blemishes. It did minimize 1 pimple over a few days continuous use, but did nothing for my other acne. I do find the cream texture nice on my dry-normal skin, but that is not enough for me to want to buy this product again when there are better face wash and cleansers out there. I have very oily acne prone skin in my early 20's and bought this after reading some great reviews. Unfortunately it is not for me. My skin normally gets on very well with most skincare products but this one has been very disappointing. I hope it's just my skin. I thought it was great value and a big tube so lasts forever if it works for your skin. I use it at night and avoid my eye area. It has a non-offensive smell but boy does it feel uncomfortable when it's on. It has a cooling effect but that makes my eyes sting a lot. It has made my skin super sensitive and sore and everything I put on it stings now (especially around the eye area which I avoided!). People have said a little goes a long way but I disagree. I have to re-apply about 3 times to actually have clean skin as the cleanser just melts away. As for makeup - if I don't thoroughly remove my makeup prior to cleansing, I come out of the shower with my makeup perfectly intact. I also don't feel clean after cleansing and have to use micellar water afterwards to have clean skin. Summary: does not clean my skin or remove any makeup, stings, cooling effect hurts my eyes, have to use a lot of products to cover face. I'm going to continue to use the tube but only every 3rd night and alternating with a calming sensitive skin cleanser because I hate wasting products. Maybe this will work for me and in that case I will update my review! Fingers crossed! I bought this as I was desperate for a new face cleanser and no where had my usual one which is also in the Neutrogena oil free range. The formula is soft and smooth and comes in the color green which is pretty cool to see. It smells nice and only a small amount is needed every! I use it once a day in the evening and it takes away my makeup as well as leaving my skin feeling supple and moisturized. It has cleared my skin up from acne and even claims to prevent future acne. I have found that the amount of pimples and bumps I would normally get have drastically reduced! Very happy with this cleanser and will continue to use it! This product has saved me, literally. With this product, a little goes a long way. I noticed a change the day after using it, and I was very impressed with the results. My acne was less red and less noticeable and I couldn't even see any blackheads anymore! I use this product every night, and I will never change to a different brand. I have used many acne products before, and none have ever changed my skin like this. No skin irritation, no oily patches, nothing. Just pure magicalness, if that's a word. It is now anyway. I use this product once a night, every night. I only use about the size of a pea, as this is all it takes for this product to be effective. Keep it on for about a minute and then rinse off. Also, take note that this product may sting or tingle your face, but it won't damage your skin or cause any irritation. I used this product all over my face as I have acne prone skin, but anybody who has blackheads or acne will find this product useful! This is by far my favourite product. I use this daily and it makes my skin feel so fresh. The scent is amazing and the feeling after you have washed your face is perfect. I have ran out at the moment but I can't wait to bye another! It has helped clear my acne and leave me feeling more confident. It is a must have for everyone.. love this product. It's great for quickly clearing severe acne though not long term, but it's great to get you going towards the path of great skin, I always come back to it. moderate to light acne this product manages it 100%. The texture is really good and it smells lovely too. Using the scrub with the wash is also an awesome way to make it work even better and the oil free moisturiser is also available if you want the complete set for maximum protection of your skin. I used this product for about a 2 months and noticed it had cleared my skin. This product did work when used everyday, it was just a really average cleanser. It doesn't leave a residue or grease which is good, its smell is average and overall i have tried better products. Also, after running out of the product i noticed that my already oily skin was more oily then to begin with. This is a terrific product. Creamy and a little goes a long way. I'm on my 3rd tube and have been using it for several months. When I first tried it I noticed it didn't remove my makeup....so I use my cleansing oil first - rinse that off and apply this cleanser. It tingles and takes a few days to get used to the sensation (I'm terrified of having a reaction as my skin can be sensitive to some products). I actually leave then cleanser on for a minute then rinse it away. My skin has never reacted to it and I have found it helps keep my skin clear from hormonal breakouts and has also smoothed out the congestion on my chin and forehead. I have oily to combination skin and this has improved the texture a lot. My blackheads are minimal to none existant now. I recommended this to my sister who has very sensitive skin (warned her about the tingling due to the menthol content in the cleanser). She has also had good results from it only using at night. Take my advice - i have suffered with my skin since the age of 13 and am now 36....i have spent hundreds of dollars on just about every single brand out there (high end luxury products right down to pharmacy brands etc). This is THE best product for breakouts on MY skin hands down. Blemish prone skin, oily skin, bumpy, blackheads, pimples, congestion. This is one of the acne cleansers I use daily. My skin didn't tolerate using it twice a day as suggested as I found it over dried my skin and made it feel irritated. So cut back to daily use at night time when showering and found my results with this. Makes my skin feel free from the daily dirt and grime and I go to bed with smooth clean skin. Foams up nicely, and seems to last a while. Does a great job for the price tag. 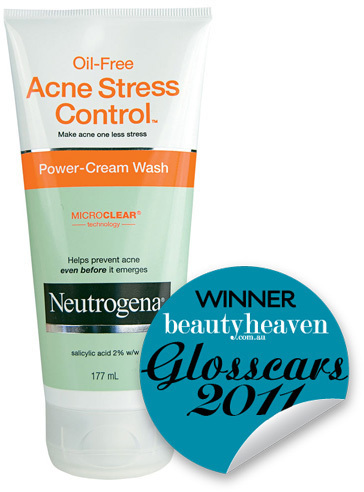 I ultimately love using Neutrogena Acne Stress Control Power-Cream Wash. It refreshens and preps my facial skin to start a long stressful day without irritating it. I love using Neutrogena Acne Stress Control Power-Cream Wash in morning before I start my day inconjuction with Neutrogena Acne Stress Control Power-Clear Scrub at night to finish a stressful day. I started getting some pretty bad hormonal breakouts at the start of the year that made me feel very self conscious and got me down. I tried so many drug store products, had different medications etc but nothing worked. I found this and I thought I'd give it a go. At first I didn't see any results, and I was using it both day and night as suggested. I found this severely irritated my skin so I just changed it to night time. This made the irritation go away so I stuck with this cleanser. It's now been a good 2-3 months since using this product and I have to say I've noticed a huge difference. I still do get pimples, but it's no where near as often and the pimples themselves are less harsh (they're not the giant, painful cystic ones) and they go away quicker. Furthermore, I've noticed my scars are a lot more less noticable since using this wash - could be due to the AHA in the product. I don't know if this will work on dry skin but it really helped me (oily/combination). My only advice is don't give up on it after a few weeks, at least try 2 months to notice a difference! I use this twice everyday (in the morning and before I go to bed). Each time I use it my skin feels so clean and soft. It's really gental and does absorbe oil and prevents acne. It works really well. I picked up this cleanser after my regular one became discontinued and I love it. This cleanser comes in quite a large squeezable tube, making it east to dispense the amount required. It's quite rich and creamy, a little bit goes a long way. I love how this product feels on the skin. It is very soft and refreshing due to the green tea. It doesn't smell too much like chemicals. I love how this clears and prevents acne, reduces redness and soothes the skin. A WINNER!!! I have been trying this Cream Wash for a couple of months now. I have a mixed option on this product, some days I love it and some days I hate it. This product has helped to reduce my acne on my chin. I only use it on chin and other areas that I get acne because some times I get scars or marks from it. This is love hate product for me and I will have to think more about if I am going to re-purchase this product. The guide to affordable products – no matter your skin concern. If stress causes pimples, and pimples cause stress, how do you put an end to the problem?